You love him. You love Aveda. Bringing them together is a gift. 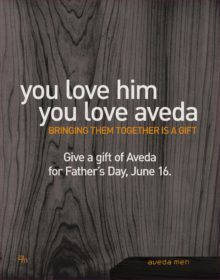 Give the gift of Aveda to the men in your life for Father’s Day, June 16th.